Join the Seeds of the Month Club - click the banner below. Not a fan of spiders. I saw the movie 'Arachnophobia,' which was single-handedly rated in the top three worst choices of my life. Fear of spiders is so common that it is estimated that about 50% of the population say they have an aversion to the creatures. While I wouldn't exactly say I am afraid...I certainly do not like suddenly seeing one unexpectedly. They are just so silent in their movement and the way they skitter about can give me the creepy crawlies. Not to mention how unpleasant it is to walk into a web unexpectedly...and I feel bad for all that work was put into spinning and building it being wasted. Spider webs have a true beauty in construction that I find fascinating..but I digress. Spiders outside I like. I like the work they do and that they have an appetite for insects like flies and mosquitoes. That makes them pretty useful around the farm. However, spiders inside the house (or my car as I was recently surprised by one quite unexpectedly!) I do not like so much. Since I strive for using as natural products as possible in my home, I'm not a fan of using chemical sprays for insects. I started seeking more natural ways to discourage spiders from residing within my humble abode. When we first moved here, I started seeing these green ball-like fruits all over the place. We have an abundance of Osage-orange trees on our property. Most of the time, we are frustrated having them because they have very long, sharp thorns that can puncture a lawn-mower tire...but at this time of year, they bless us with their fruit. This fruit is non-edible (for humans or animals) and after doing some research, I found that they are traditionally used as a insect repellent. 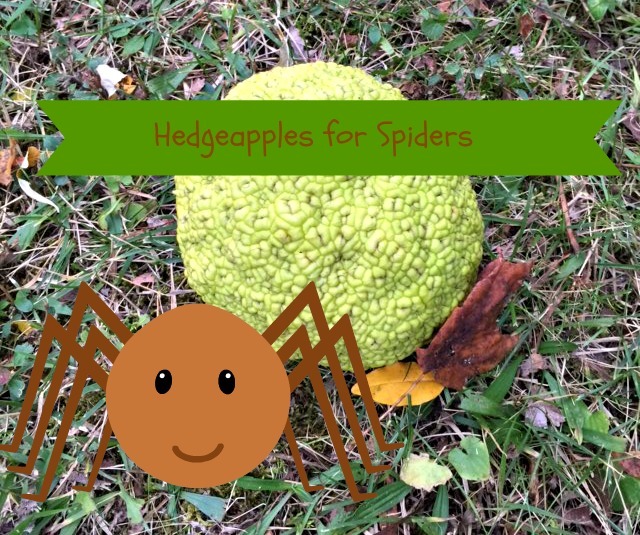 Toxicologists at Iowa State University tested compounds from hedge-apples and found, if concentrated enough, the insect repellent factor was effective. However, in the natural concentration in just the fruit alone, it was not as effective. So, I tried them...I didn't have anything to lose. I placed one in nearly every corner of the house and did see a decrease in the spider population. They have a scent reminiscent of citronella so that is probably the reason they are effective. In full disclosure though, there was one corner of the living room where a rather large wolf spider made it's home right next to the hedge-apple. I can't say it is a foolproof method but I think the hedge-apple treatment helped and had the bonus of being natural and FREE! 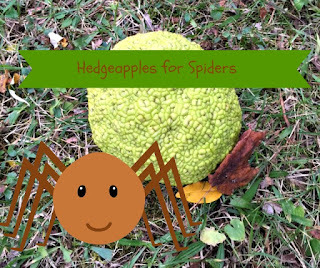 Do you have hedge-apples where you live? One of the reasons I started blogging was to share. Share my experiences, share my quest for knowledge and to help others. One day, I intend to make Estle Schipp Farm my full time work. In my future, is a farm school where I teach others skills I've learned over the years. One necessary part of making this dream come to fruition is to create multiple streams of income so that we are not overly dependent on any one source. We also have a couple of boys nearing college age and I intend for them to attend debt free. I accidentally found another stream of income right at my fingertips - literally not figuratively. As a birthday gift, I was treated to a Jamberry manicure and realized how much I missed having beautiful nails. Many ladies who do lots of chores know the disappointment of freshly polished nails being ruined much too quickly. I gave up on having pretty nails and just put it behind me. Hands are for so much more than sporting pretty nails. Our hands are caring for others...feeding others, loving others, clothing others, calming others, helping others and communicating with others. I decided I wanted to help others find a reason to care for the hands that unfailingly care across the whole of a day and a whole lifetime. 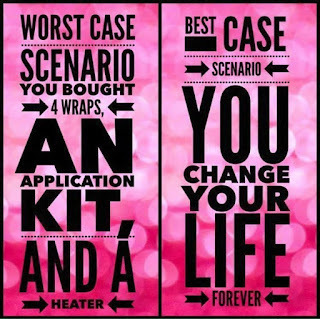 Yes, I became a Jamberry consultant. 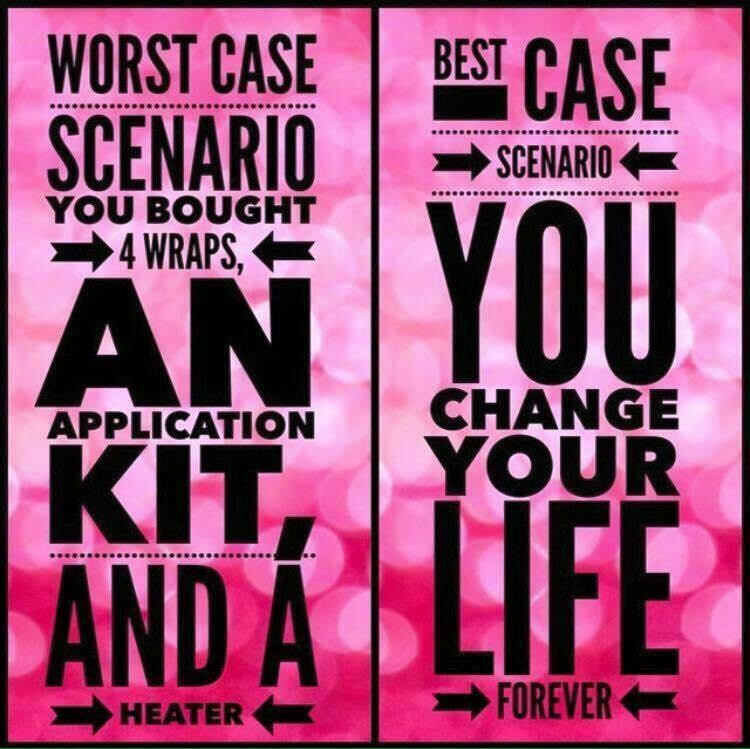 I became a consultant to share this feeling with others - to make a bright spot in the day for women who need a lift. I'm not selling nail wraps - I'm sharing moments of feeling beautiful. I'm sharing the permission to spend 15 minutes every two weeks on yourself as a touch-point throughout the day to remember that you are important. 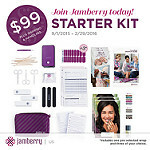 I'm putting together a team to share this opportunity. I hope you will consider joining me. You can share some stylish nails, some moments of real caring for others and receive a discount on your own purchases too. I'm calling the team Helping Hands and would love to share more about it. Please join me! enough garlic, you can eat the New York times. On a recent visit to the local farmers market, I paused in front of the booth with all the beautiful garlic - there were baskets full of more types of garlic than I ever knew existed. In that moment, I decided that garlic needed to find the way to my garden. Her next question, took all the 'cred' out of my stance for sure. "Are you looking for hardneck or softneck?" Her question was meet with a blank stare....I had only ever gotten garlic from the bin at the grocery and had no idea there were different types. Thank goodness she was kind and patient. Softneck garlic is the type you usually find in the grocery. It is mild and stores very well. These are the types you might find in a cute little braided wreath which sounds like something I might like to do. 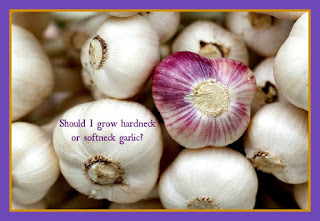 Hardneck garlic is more like wild garlic and has stronger and more complex flavors. They won't last as long in storage but if cured can last six to ten months which seems plenty long to me. The most wonderful thing about hardneck garlic is that the growing stalks produce the scape which is something I love to have in the summer. So, with the help of our local garlic lady, I chose some bulbs of both types - and the cloves are already separated and tucked snuggly into the garden bed. You can easily tell them apart when you pull the cloves from the bulb. The hardneck varieties have a definite hard stem right up through the middle of the bulb. To plant, carefully break the cloves from the bulb. Plant them about 2 inches deep with the pointed end upward (root end down) and space about 8 inches apart. Cover with some mulch and water weekly but do not over water which may cause the garlic to rot - garlic does not like overly wet soil. When the leaves above ground start to turn yellow or brown, it is time to harvest. This will likely be toward the end of the summer and into autumn. Wash the soil away, let dry in a well-ventilated space and enjoy your harvest! What palate tickling joys do dwell. As you know, we have chickens at Estle Schipp Farm. I so love having fresh eggs only a little stroll away from my kitchen door. We use a lot of eggs every week. When you keep chickens, you quickly learn that you need to supplement their nutrition with something to help them lay eggs with strong shells. A strong shell protects the contents of the egg and also acts as a barrier from the introduction of bacteria to the egg inside. 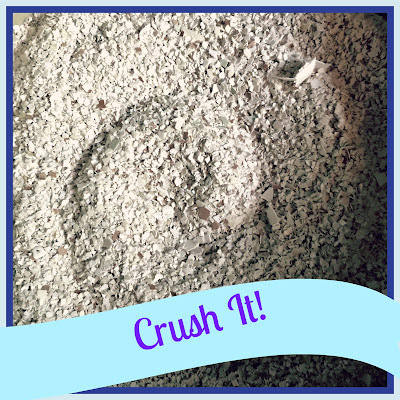 One way to supplement their feed ration is with commercially available oyster shell that from your local feed store. But, since I want to keep the cost of feed and nutrition at a reasonable level, I wanted a less costly solution and I had to look no further than those eggs I cracked for breakfast this morning! Chickens do very well with crushed eggshells as a supplement. I keep an open bowl on the kitchen counter with the egg shells I used that week. By sitting in the open air, the shells dry out and are easy to crush. I have a small (about two cup capacity) food processor that pulverizes those dried shells into very small pieces as you can see in the photo in this post. You may wonder why I crush the shells and that is a very good question. Never just put down whole pieces of shells for your hens since it will encourage a very bad habit of egg eating. If your flock becomes accustomed to the idea that you want them to eat shells that look pretty much like whole eggs, guess what they will do.....they will start cracking open freshly laid eggs too. Once a hen starts doing that, it is nearly impossible to get her to stop. I'm very happy with this method of supplementing the nutrition for my girls with something they need for their health. The fact that I've found another way to use every bit of a product without waste is an added bonus! If you don't have chickens (yet) but have a neighbor who does, offer to save your shells to share with him or her. If you don't have a friendly chicken lady (or gentleman) near you, consider other uses for those shells - such as composting, fertilizing the garden, pest control, a natural antacid or even make sidewalk chalk - google "uses for eggshells", you will be surprised at all the results. 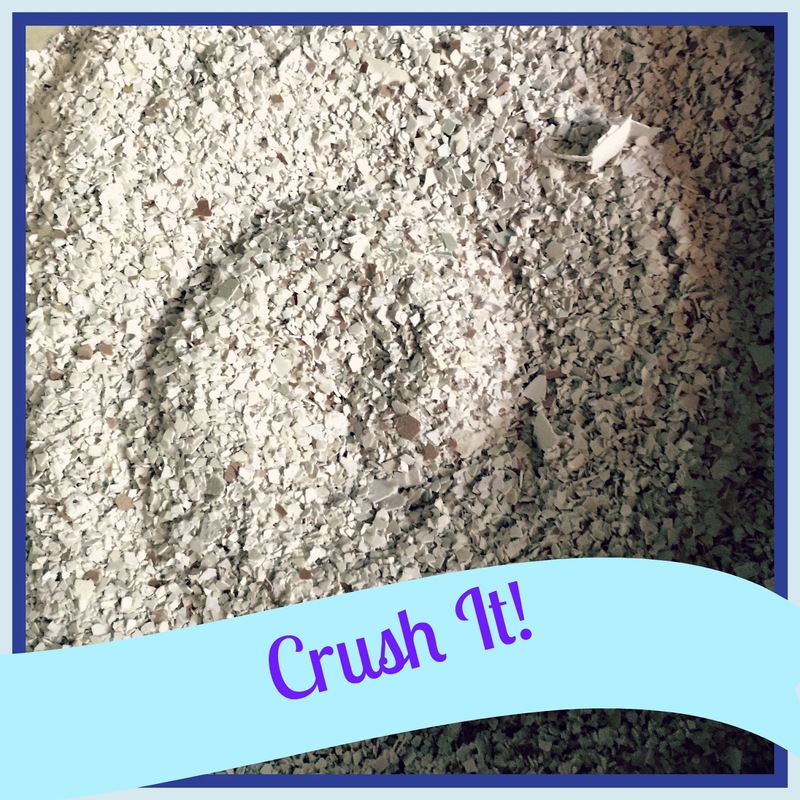 After breakfast tomorrow, save those eggshells - Don't TOSS it, CRUSH it instead! his post may contain affiliate links which means if you make a purchase using one of those links, I may receive compensation at no extra cost to you. It is a great way to support your favorite hobby farm blogger. Thank you! 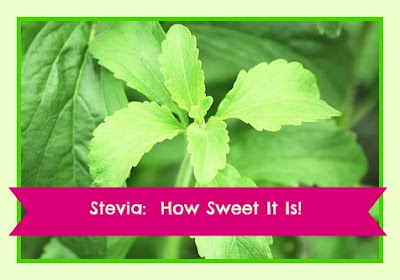 Stevia - How Sweet It Is! When life gives you lemons, add sweet tea. It has been a wonderful few weeks in the garden at Estle Schipp Farm! Everything is green and growing quickly. We've enjoyed fresh, crisp salads and are eagerly awaiting that first ripe tomato. The herb garden is also bringing great growing joy! The chives are straight and tall, the basil leaves are fragrant and green and the rosemary has taken root and sprouting new growth. There is a new addition this year from a find at a local farmers market - Stevia! I was strolling through the tables laden with herb plants of so many varieties, enjoying the beauty, the fragrance and all the possibilities and I happened to see a single pot of Stevia. I picked it up and the lovely lady farmer asked me if I had ever tried it. I had not, of course. "Taste a leaf - go ahead"...so I plucked a small one and placed it on my tongue. Oh my goodness...it is a intense sweetness and so different than the herbaceous flavors of other herbs. I was intrigued, to say the least, to think of how I could use it. The plant is already growing well in the corner of our herb garden. The plant is not cold tolerant so I will need to either dig it up and place in a pot to over-winter indoors or else treat it as an annual. We'll see how the season goes. What new herbs are you growing this year? This post may contain affiliate links which means if you make a purchase using one of those links, I may receive compensation at no extra cost to you. It is a great way to support your favorite hobby farm blogger. Thank you! The first gatherings of the garden in May of salads, radishes and herbs made me feel like a mother about her baby ... how could anything so beautiful be mine. The joy of the May garden is in full swing at Estle Schipp Farm. The lettuce called Freckles is growing taller every day, the chives are already showing their lavender blooms that look like a flower that could house the little world of Whoville and the radishes are showing their beautiful red shoulders right above the soil. I even saw the first blossom on the pea shoots today! The May garden is full of greens for salads and greens for sauteing, all of which are so welcomed in my kitchen. I have a confession to make. I had no idea you could eat the green tops of the radish plant. I have always loved the crisp heat that comes from that radish pulled right from the ground and rinsed in the garden hose. Some even make their way to the kitchen to go in the dinner salad. I had always composted those beautiful, green, leafy tops. What was I thinking??! All before my little room. This quote made me smile as I remember that one of my granddaughters decided that the lilacs my daughter had cut and brought into the house *belonged* in her room. "I need these" she declared. Few things can bring me as much joy as the lilac in full bloom. The beauty of each perfect flower and the intoxicating scent fills my heart every single time. Though the blossom is short lived, it always means that Spring with all her promise of growth and new life has arrived. Cut six inch stems from new plant growth. Older, mature growth is less likely to take root. Remove all the leaves except for three leaves at the tip. Roots will grow from the area where the leaves were removed. Prepare a pot with a light mixture of soil, sand and perlite. 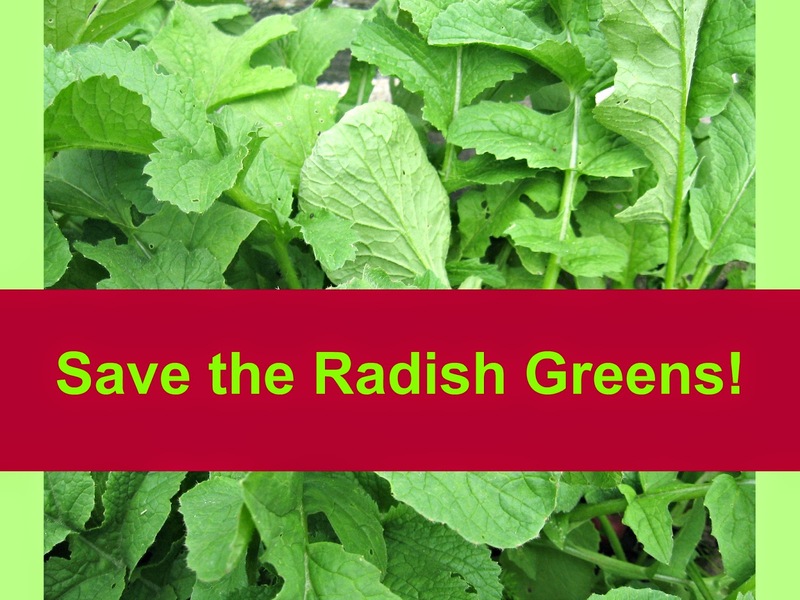 If you are open to using it, moisten the stem and dip in rooting hormone. Make a narrow hole in the potting mixture with a stick and plant the stem. Pat lightly so the stem stands upright. Keep the plant in a warm place, but not in bright light. Water daily but never let the soil get soggy. It will take the lilac about two months to take root and start to have new growth but when you start seeing that, you have succeeded! 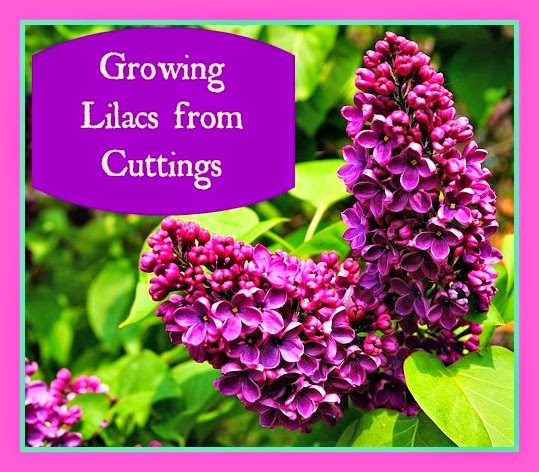 I'm excited to increase my collection of lilacs in the garden in this very affordable way. It will be such a sweet success to fill my home with the scent of lilacs in seasons to come. I hope you will add this lovely, old-fashioned floral classic to your gardens too!